Most cages sold in pet stores are too small for a rabbit to be healthy and happy. A rabbit should have an enclosure that’s at least 3 hops wide, 2 hops deep and tall enough for the bunny to sit up on his back legs. Measuring like this ensures that no matter the size of the rabbit, the cage is suitable! Click here for our brochure on rabbit housing. What makes a good rabbit house? At least six times the size of your rabbit with sufficient height to accommodate your rabbit being able to stand up on their hind legs. Cube Bunny Condo – The more time you plan to have the bun stay inside, the bigger the cage/enclosure should be. We recommend as much “out” time as possible (at LEAST four hours per day) and regular play and interaction with you every day for the rabbit’s health and happiness. Play areas must be bun-proofed: safe from electrical cords, houseplants, and other hazards to the rabbit and with possessions you’d like to keep intact out of reach. Don’t forget plenty of bun-safe toys. Dog Crates – ones for large dog breeds work well, are foldable, inexpensive, rust-proof, easy to clean and sturdy. These are great when used with lots of free range time because they aren’t very big. Be careful with small rabbits that they can not get their heads through the bars and get stuck. 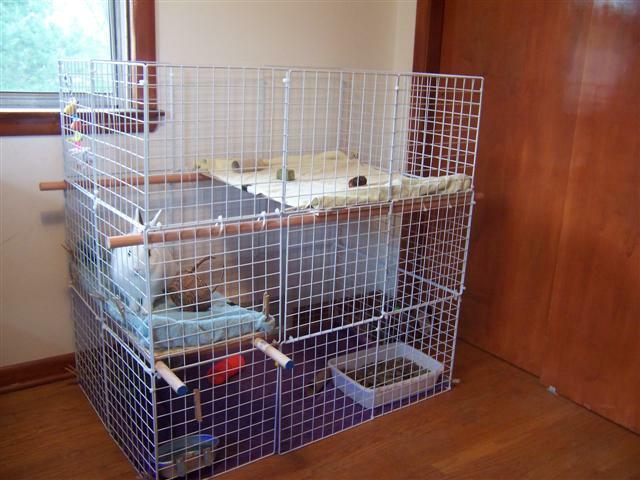 Neat Idea Cube Condos – These are made from wire panels assembled to the needs of your rabbit. 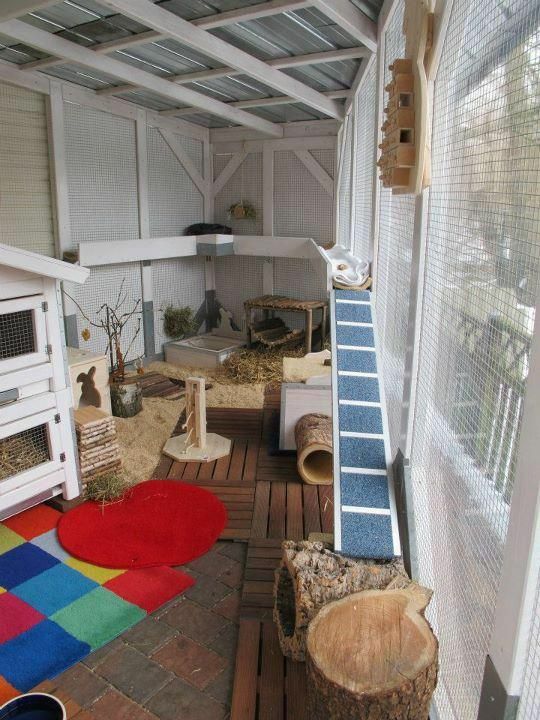 Not only can you customize your rabbit’s home, it is a lot less expensive. You can find “how-to” instructions here: http://breyfamily.net/bunnycage.html and Neat Idea Cube Condos information atwww.rabbitnetwork.org/articles/NIC.shtml. In Canada, they are sold under brand names Closetmaid and Rubbermaid. 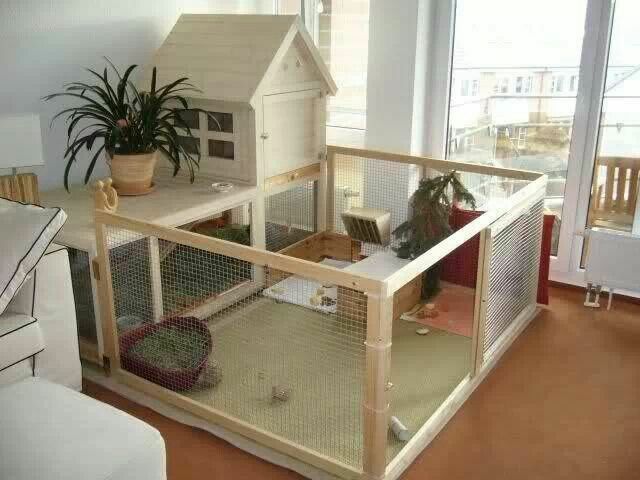 For less than the cost of a tiny cage from the store, you can build a palace for your rabbits to lounge and play in. 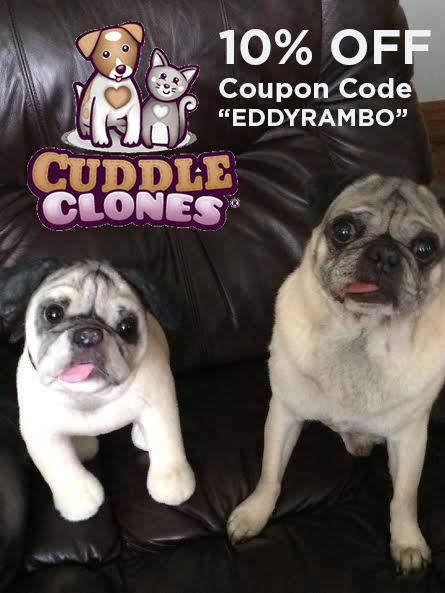 They can be found in many stores such as Costco, Canadian Tire, grocery stores etc.. Exercise Pens – a series of metal fencing panels connected by hinges. 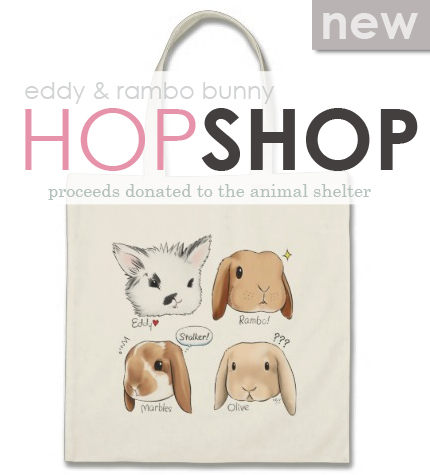 This allows your rabbit to have more space while still confined to a safe area when you aren’t around. The exercise pens are versatile, allowing you to shape a circle, divide a room in half for two rabbits to share, or set up a rabbit corner. When rabbit’s out, the pen can be used to protect a zone you want to keep off limits. You can also easily take it to other people’s houses for bunny sitting, or go outside on a nice day and let your rabbits play while you supervise. Make sure you get one that is high enough as rabbits can jump at least 1.5 times their own height. 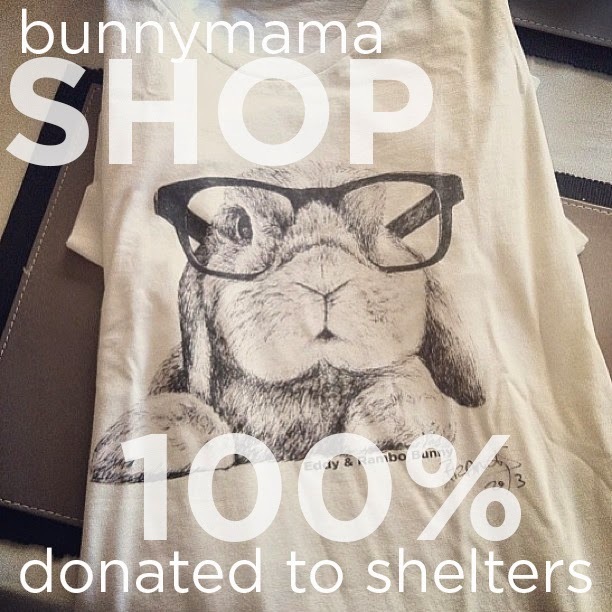 Rabbit Rescue advocates that all pet rabbits be kept indoors. Rabbits are very social creatures that enjoy the interaction, stimulation and comforts of living indoors “with the family”. Many believe an outdoor hutch is the perfect home for their rabbit however, time and time again, we hear sad stories of pet rabbits who have met their demise while being housed outside. The most immediate hazard to an outdoor rabbit is attack by predators. These include attacks by dogs, feral cats, raccoons, and coyotes; and more rarely, owls, hawks, opossums, and weasels. A determined predator can bend or break wire and more agile ones can open cage doors. Many people are confused and baffled to discover that their hutched rabbit has died during the night. “I don’t understand – the hutch wasn’t even unlocked, and the rabbit didn’t have a mark on him. What happened?” With their acute vision, hearing, and smell, a rabbit can sense the presence of a predator a yard away and this can trigger an extreme reaction; a panic attack during which the rabbit runs wildly back and forth, twists, and thrashes. A rabbit in this state can break their own back, or die from a heart attack or shock. A survivor may be permanently disabled, or develop infection from bite or claw wounds. Another outdoor risk to consider is the presence of poisonous plants and potentially deadly fertilizers and pesticides used on the lawn or yard. Living outdoors can also be risky for physically compromised rabbits. Any rabbit unable to completely clean their fur of urine or feces is vulnerable to fly strike, a life-threatening condition. We have also seen rabbits who were quite healthy (not disabled) getting fly strike. Other insects can also pose a threat to an outdoor rabbit. Fleas, if allowed to infest the backyard, may subject a rabbit to flea anemia. In some areas, myxomatosis, a deadly virus, may be transmitted to domestic rabbits by biting insects. Perhaps the most underrated danger to an outdoor-only rabbit is inattention from his caretaker. Even though the rabbit is fed, watered, and sheltered, infrequent observation and handling may cause health problems to go unnoticed until too late.Housing your rabbit outdoors compromises quality of life. Living confined to a hutch is boring, depressing, and stressful for a sensitive creature such as a rabbit. By domesticating them, we have deprived them of whatever natural ability they had for survival on their own. You wouldn’t think to house a dog or a cat in a hutch outdoors all the time, so what makes it okay for a rabbit? Rabbits crave the same socialization, stimulation and love that other house pets do, and by robbing them of these necessities you are also robbing yourself of the chance to have a loving and rewarding relationship with your bunny. Rabbits make wonderful house pets. Keep them indoors, make them a part of your family, and enjoy their quirky personalities, their silly antics and their unconditional love.